Like a scene from A Midsummer Night's Dream, this rustic wedding maintains its relationship with nature incorportating blush hues of pink, green and purple. 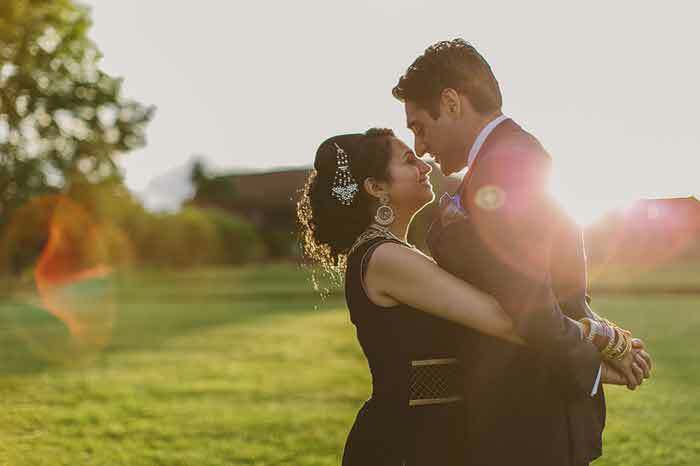 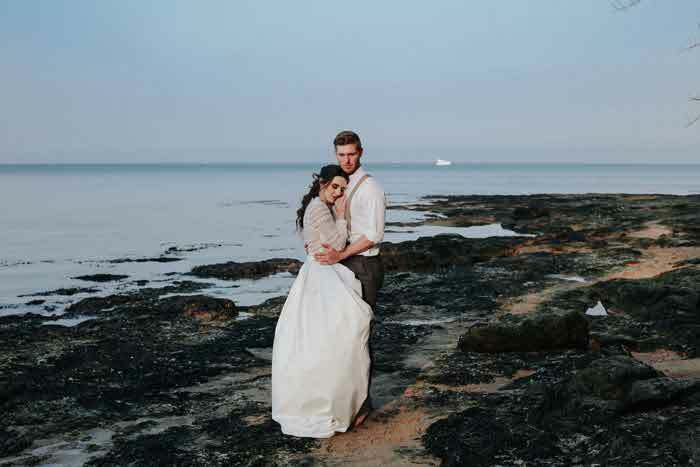 The muted tones of this romantic rustic wedding shoot keep its essence natural. 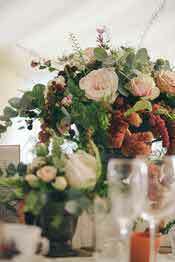 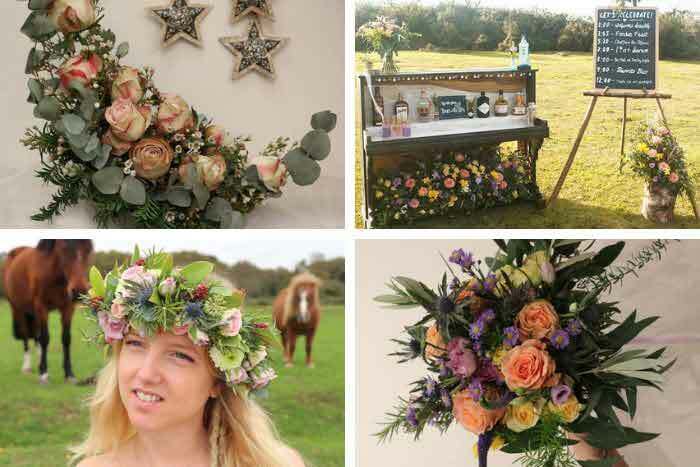 The pink and brown hues are romantic, and evocative of a scene from A Midsummer Night's Dream... so for those in search of rustic, romantic wedding inspiration, look not futher. 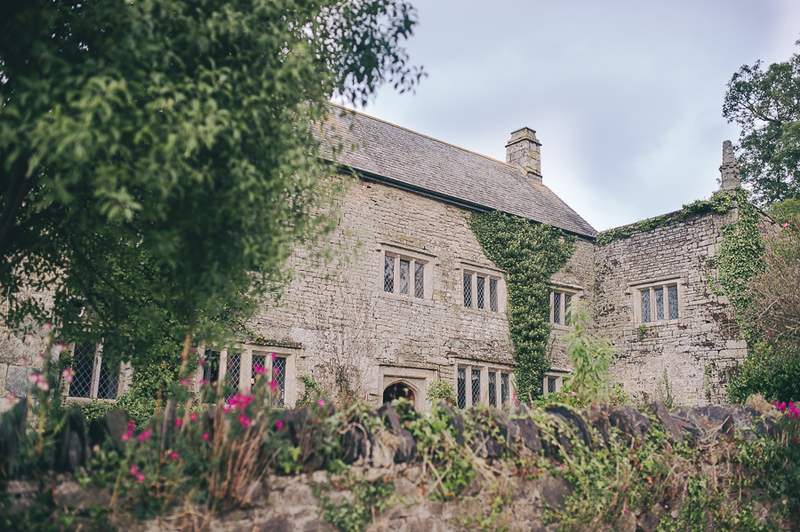 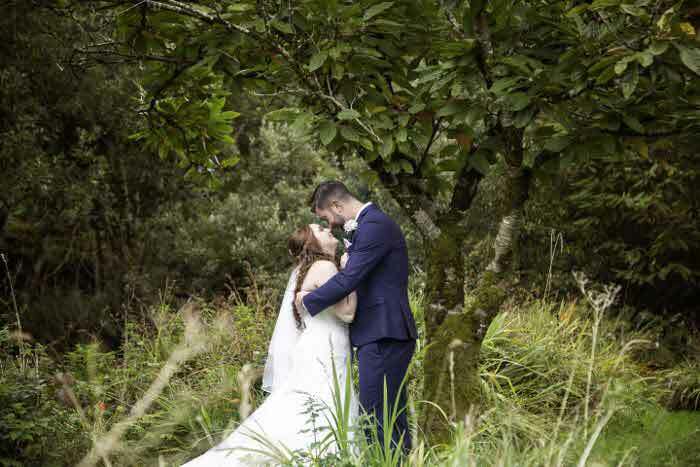 Tucked deep in the Cornish countryside lies the romantic and picturesque wedding venue, Pengenna Manor; the chosen location for this nature-inspired wedding shoot. 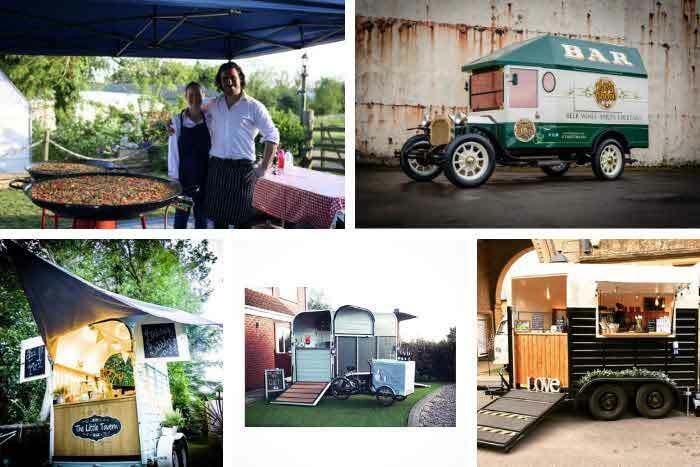 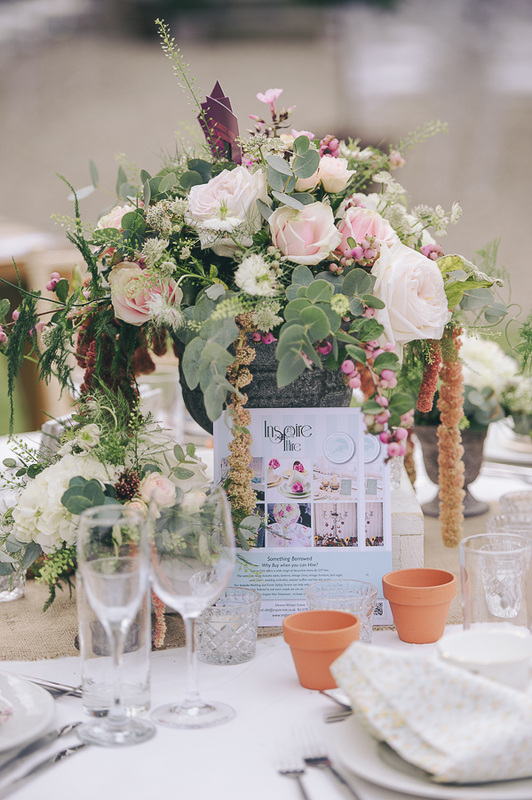 A dedicated team of wedding professionals were on hand and styling guru, Elle, from Inspire Hire, recruited to ensure an inspiring shoot. The brief was to bring the "outside in" and to "show it in its natural setting." 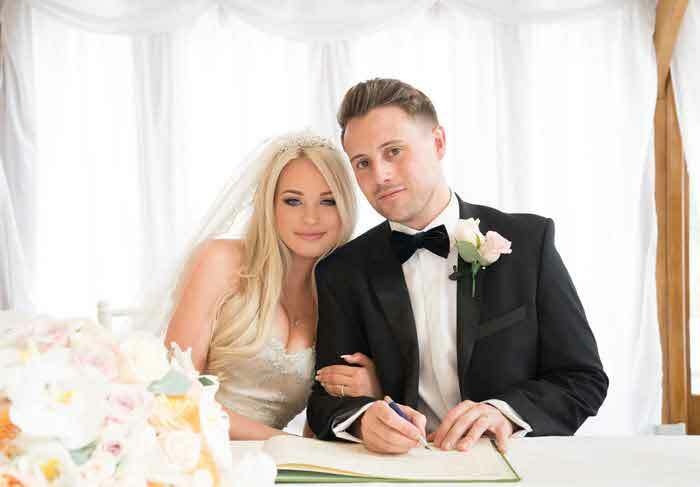 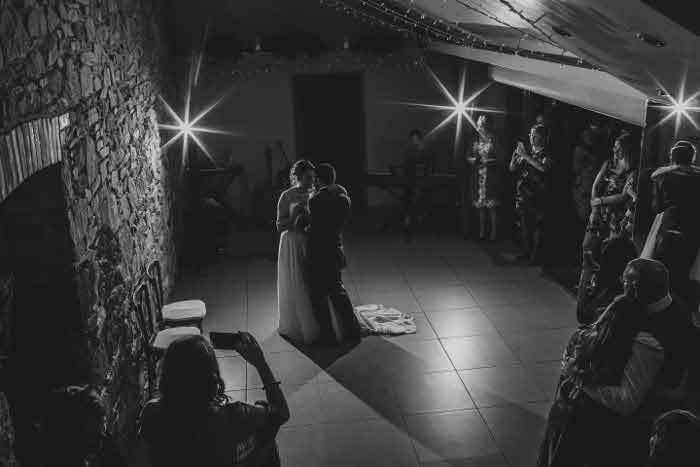 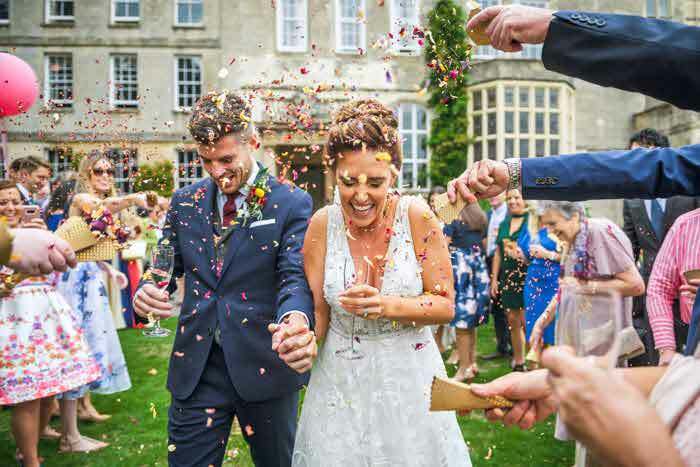 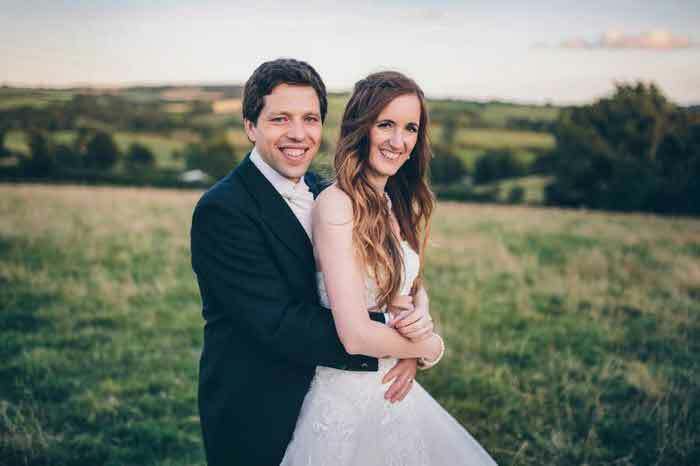 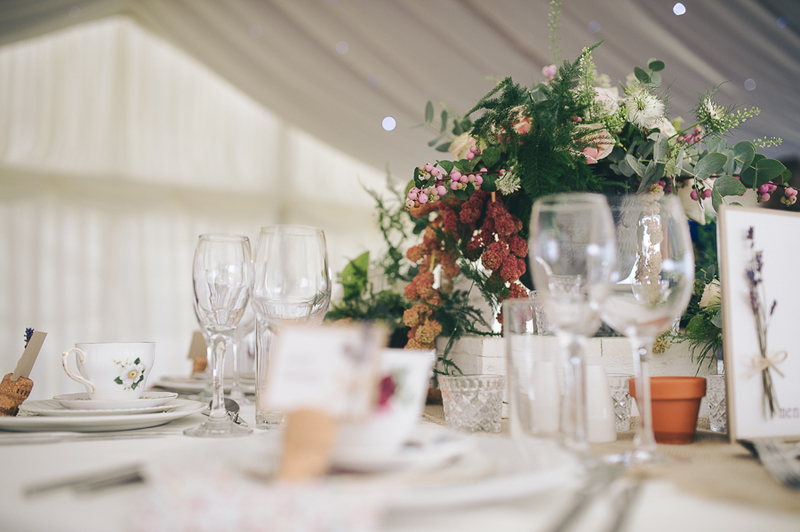 In recognition of the practicalities of a British outdoor wedding, a traditional lined marquee by Bodmin Marquee Hire was chosen, and placed on Pengenna’s marquee gardens, overlooking the grounds. 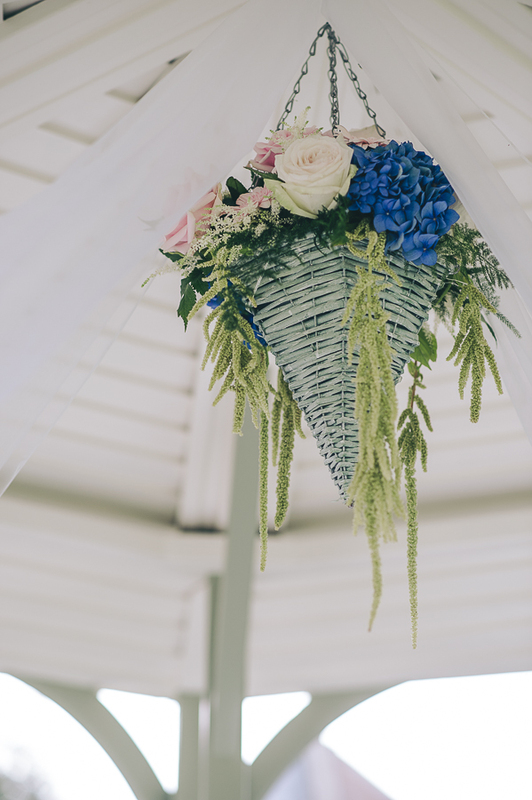 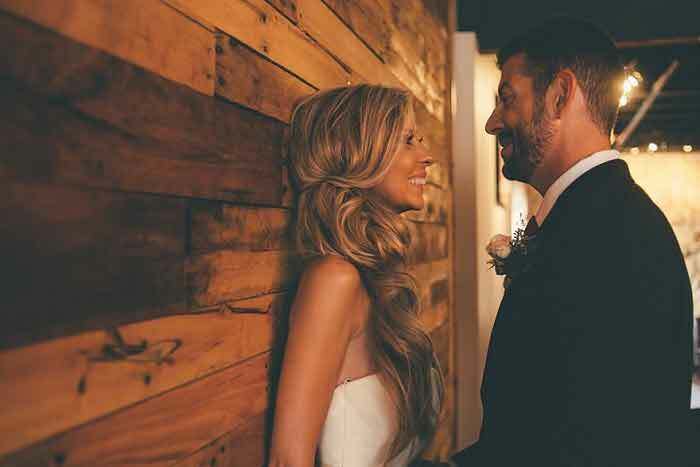 Stylist, Elle, wanted to incorporate some of the ambience and feelings that couples often want to create when planning a rustic wedding. 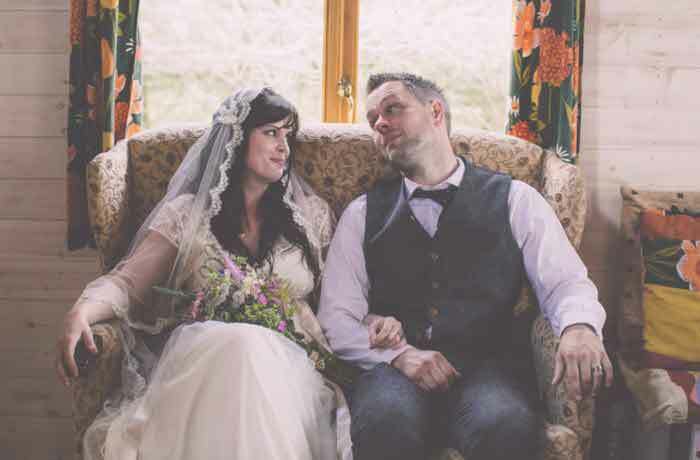 She used fabrics and textures, and even smells that reflected the beautiful rural setting of Pengenna. She chose to incorporate textures and fabrics into the table styling (in some cases lots of little details is what creates an impressive overall picture). 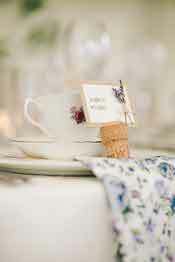 On the table Elle layered textures, starting with a muslin overlay to create a soft romantic and whimsical feel. 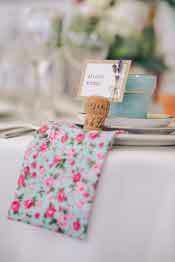 She then added to this a burlap runner which reflects the agricultural history of the venue. 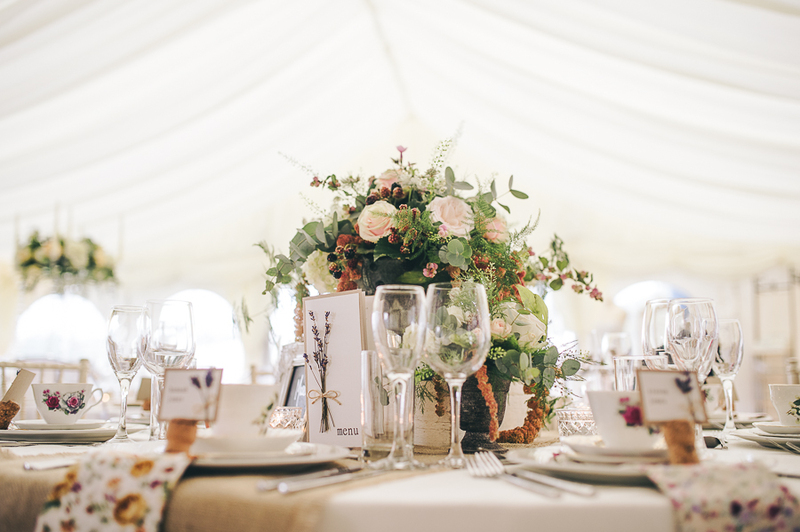 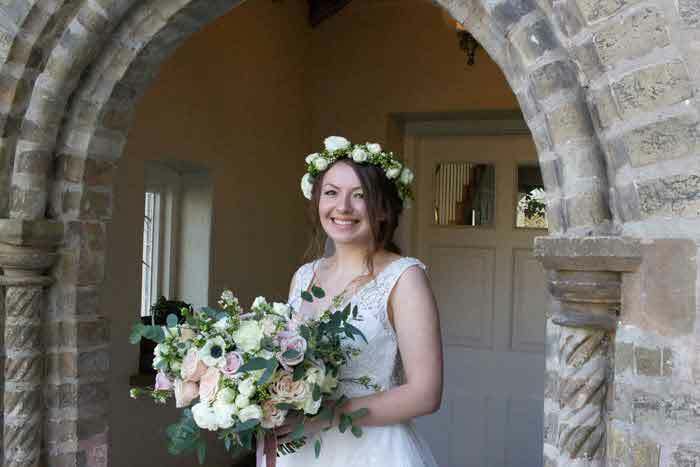 For the table centre, Elle chose a rustic whitewashed wooden box to display a rustic aged metal urn full of seasonal blooms, designed by Elaine from Flowers from Bruallen, with a very relaxed and wild feel - as if they had just been plucked from the Manor gardens, complete with blackberries. 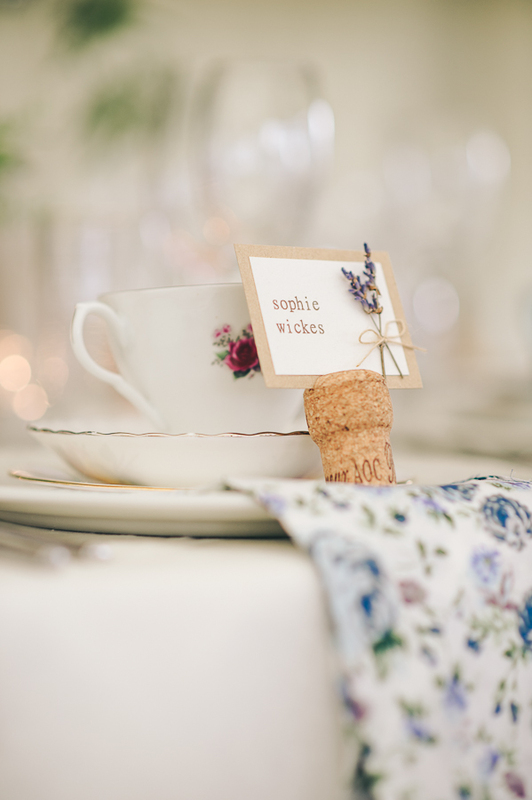 The table settings were layered and on the dinner plate sat a liberty print floral napkin which adds colour and pattern to the table, and on top of that a trio of beautiful vintage china. 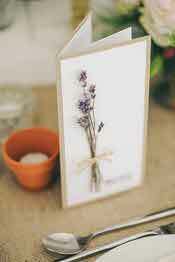 Another texture is brought in with the use of the fabulous cork place card holders with sprigs of real fragrant lavender. 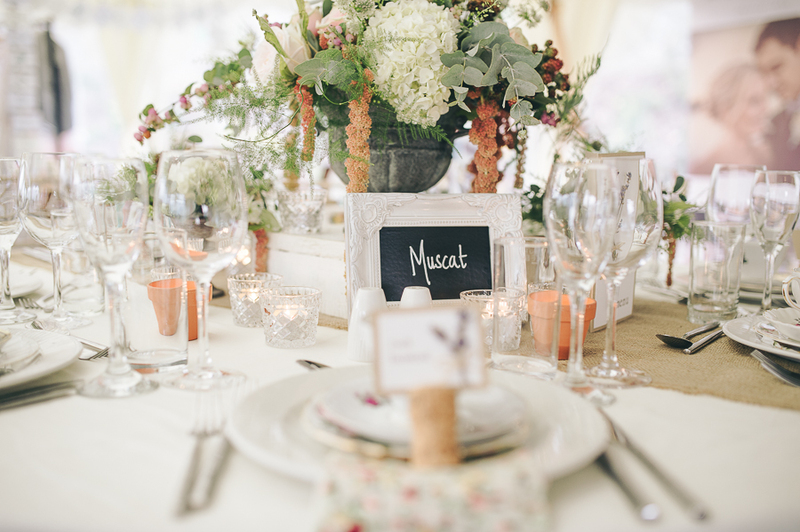 Dotted around the table Elle has used beautiful cut glass tea light holders which created a sparkly light, as well as little terracotta pots as a contrasting texture, which throw off a golden light like a mini bonfire. The rustic style was carried through in the table plan, for which the wedding stationer Sarah used an old vintage suitcase, twine, brown postage card and fresh lavender. 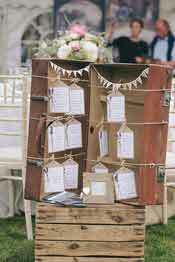 Completing the look by stacking it on an old wooden crate to add height and texture. 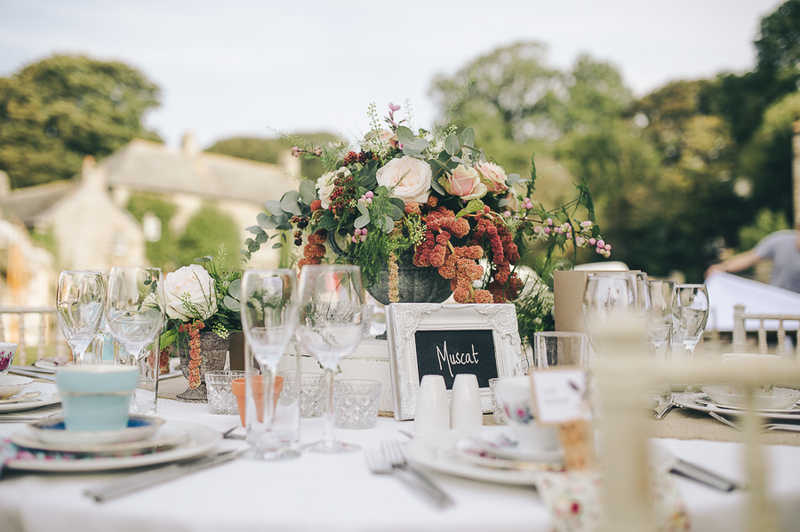 When it came to the wedding cake, the team were looking for elegant simplicity with a touch of the outdoors; again, layers played a big part in creating this look. 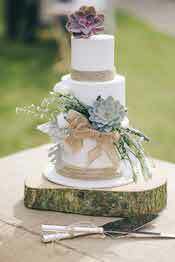 The cake table was dressed with a hessian runner and a chunky wooden centrepiece was used as the cakestand. The design for the cake came from Suzi at Cupcakemama - she kept the colours, tones, smell and textures from the flowers, styling and stationery and incorporated them into the wedding cake's styling. The overall look is very tactile, elegant, relaxed and rustic.